New Angry Birds game will arrive for Android on October 30. Angry Birds fans. 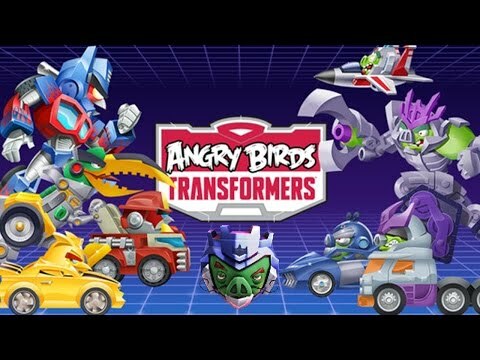 Your favorite birds are back, and this time they’ll face off against crazed robots to save Piggy Island in Rovio’s latest mobile game, Angry Birds Transformers. The game is free to download, but there’s some optional in-app purchases. To complement the action, Hasbro has released a line of Angry Birds Transformers Telepods, which players can teleport into the game to gain unique powers. The side-scrolling mobile game is very different from previous Angry Birds games, and features the popular Angry Bird characters running and using a range of different weapons hitting targets in the background including the pigs, buildings and more.